KPS were appointed to design and build Nokia’s new offices in U-Bora Tower, Business Bay, in collaboration with Source8 project management. The design concept was inspired by the colours and culture of the Middle East. GE’s offices in Dubai Internet City exude a somewhat futuristic vibe as you enter. The fitout was by ATS and the project management was undertaken by Turner & Townsend. myGini Office, San Francisco was designed by Istanbul-based Ofist. Located in a characteristic brick building, built in 1858, the design tries to create a balance between the strong characteristic of the building and the need for a new-generation office space. 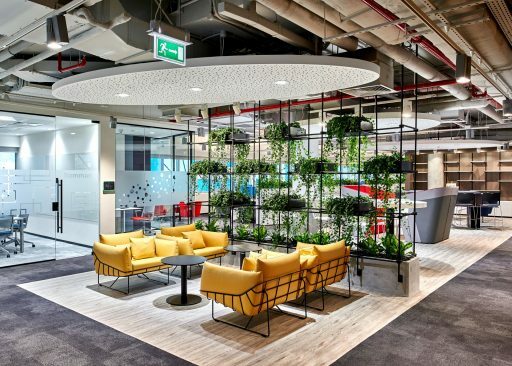 Designed by LXA and executed by ATS, SAP’s Dubai HQ, Dubai exemplifies the company’s dedication to diversity. 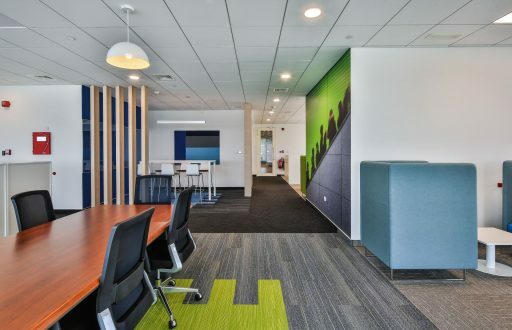 In keeping with this idea, the office interiors were designed to create a vibrant and collaborative work environment. Designed and executed by INC. Group, NCR’s workspaces are created to foster innovation, collaboration and flexibility. The space exhibits a minimalistic design, with simple and subdued colours seen throughout the workspace. This Aedas Interiors designed twenty-five thousand square foot office fit-out project was executed by GEMACO Interiors. Haldane Martin was invited by Google to design and furnish the co-working areas for the Umbono Tech Incubator in Woodstock, Cape Town. Schwitzke & Partner’s team designed a 12,378 sq. ft. workplace for Virgin Mobile, recently launched in the Dubai Design District, UAE.